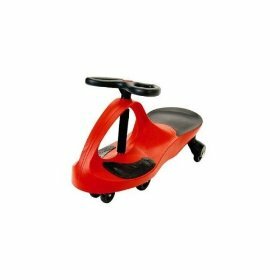 I am not so sure why it is called the plasma car, but it is a cool little car. We bought it for my youngest son for his 3-year-old birthday. He absolutely loves it. And so do I! He is so happy when he rides it and so am I! That is, I am happy when I ride it. Yep, I have been riding it when I should be writing, cleaning or taking care of my kids. It is suppose to hold up to 200+ pounds so I think I am safe riding it. It feels like you are driving a bumper car. Most of the time I’ve been riding it inside, but I did ride it outside in front of my neighbor. I don’t know if he’ll talk to me anymore. Not only is this car fun, but it runs on zero fuel. It is a great little car for the environment! If you have a chance to buy one for yourself your child you should because all the kids in the family will enjoy! It’s hot here in Fresno. It is so hot that the weather men have run out of adjectives and adverbs to describe how hot it is here right now. To complicate matters, the fires in California have made the air intolerable. So I am going crazy with my three children. Now if I was one of those good mommies I would be making crafts with my children and laughing at the joyous time we are enjoying inside! Once in awhile I am that kind of mommy. I think for a brief period in 1999 I was that way with my first child. Now most of the days I give my kids matches and challenge them to see what is flammable in the house. Yesterday the kids spent the day throwing pasta on the walls in an attempt to find the optimum cooking time. I shouldn’t complain. It was very hot in Madrid and I didn’t have central air-conditioning. I don’t know how I survived especially when I was pregnant with number #3, the sumo wrestler. It was hot then very hot and I was enormous. The forecast for this week is 112 today and very hot; tomorrow is very hot at 111 with scorching sun; then abundant sunshine and very hot at 107. It gets rather chilly the rest of the week when it gets down to 104 degrees. Brrrrr.